-How about Pete Davidson, am I right? Aside from him going on about Bieber being an inspiration and whatnot, he definitely did a great job up there. The highlight was him joking about his dad, who actually died in 9/11: “Soul Plane was the worst experience of my life involving a plane.” Also, Jeff Ross’s joke about Davidson’s dad later on was brutal, and it made Davidson look even funnier in retrospect because he beat Ross to it. -I smiled a few times as Kevin Hart was talking, but for most of his screen time–hours and hours, it seemed–I was almost as stone-faced as Ludacris was (he needs to learn how to take a joke). Still, I enjoyed that bit between him and Snoop following Snoop’s segment. -Dave Chappelle in the audience made it clear that he should’ve hosted, not Kevin Hart. -Natasha Leggero did a great job, especially with the coat hanger joke. -Jeff Ross held back last year, but this year, he really brought it. The 2 Chainz joke was great, and that final line–“I know you won’t end up like Kurt Cobain or Amy Winehouse…respected”–was ice cold. -Martha Stewart was surprisingly good, and kudos to her joke-writers for writing the jokes for her. Nevertheless, she still nailed the deadpan delivery. -Chris D’Elia and Ludacris were forgettable, and I have to say, so was Ron Burgundy later on. It seemed like Burgundy was the big centerpiece here or something, but I would much rather have had Comedy Central cut some of that and keep more of Hannibal’s set. Which leads me into…..
-Wow, Comedy Central. Gee, thanks for cutting out a lot of the set of the guy I was looking forward to the most. Exhibit A: “Actually, you should thank me for participating in this extremely transparent attempt to be more likable in the public eye.” And I hope it doesn’t work.” I guess that hit too close to home for them. Exhibit B: “He signed the guest book at the Anne Frank House, saying he hoped Anne would have been a Belieber, but instead she lucked out and died at a concentration camp instead.” Even without those cut lines, what we got was still pretty good, though, because Buress just going up and saying “I hate your music” without even trying to make it a joke? Hilarious. -Comedy Central cutting out that first line just goes to show you that Hannibal was 100% correct about the roast itself. It was all just a big PR event, and therefore, it was hard to take Bieber seriously at the end. I’ll give it to him, though: even though his career itself could be a punchline, he still got in some great jokes during his set. 1- Surprised Chapelle was there in the first place. For such a notoriously reclusive dude this seemed like an insane place to appear. 2- I was disappointed Hannibal’s performance was cut too. 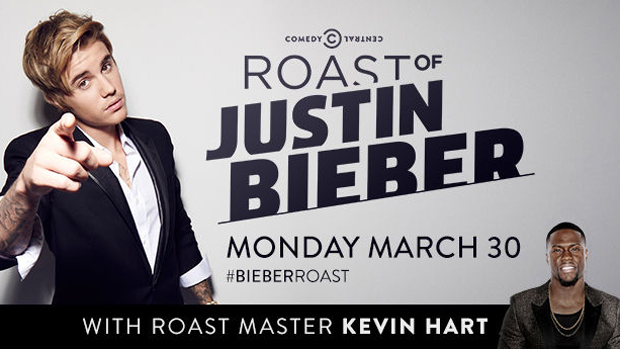 Far and away the best jokes (if genuinely hating Bieber’s music and roasts in general counts as jokes). Then I remember one of the first credits being for Scooter Braun as a producer. Yeah it makes way more sense. 3- I dug Chris D’Elia. Never seen his stand up or his show but I’m always down for ISIS jokes. I liked Natasha and Martha they were great! And Justin got a few good burns in at the end. For me my favourite Roast was the one with Flavor Flav with Late and very funny and under rated Greg Giraldo. He was wicked and funny at the Roasts he attended. i did watch the Franco Roast but it seemed too much to me like a private in joke with his friends and that was no fun to watch. Ah, yes. Greg Giraldo was fantastic. I definitely miss him. Praise Hannibal. That’s pretty much all I took away from the roast.